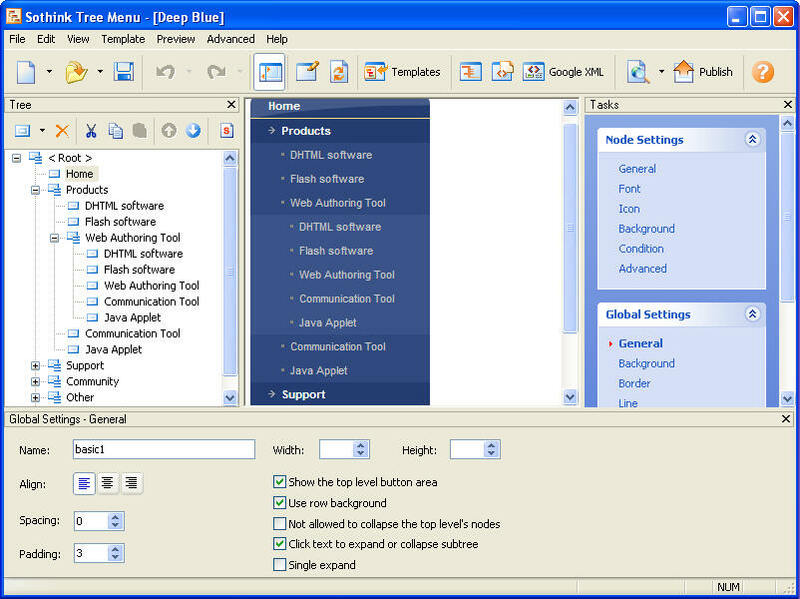 Description: Ajax Webshop is guided by the concept of IDE and visualization. Based on standard component library it allows Ajax IDE in the pattern of rapid application development (RAD), which maximizes development efficiency.What you see is what you achieve. Description: It creates tree menu easily, with NO JS experience required. Its high compatibility supports most browsers, including Firefox 2.0 and Opera 9. It supports Windows Vista (SP1). It works well with Dreamweaver, Expression Web, FrontPage and Golive. It creates search-engine-friendly sitemaps and Site Navigation Structure Generator will generate menu based on your site. You can control expanding or collapsing the sub tree in web page. 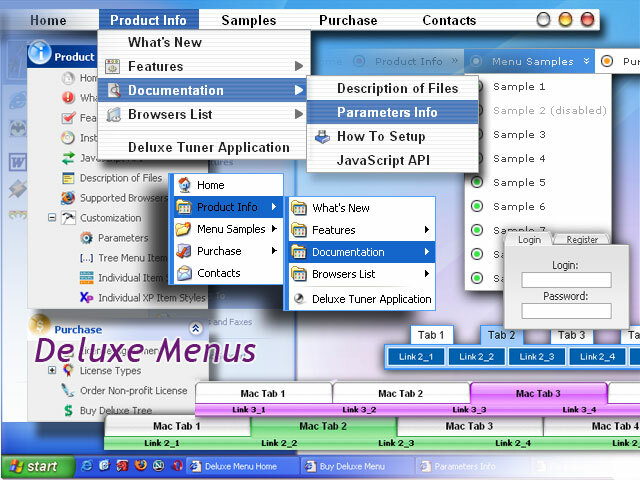 Description: Slide menu web control for JSP with support for IE, Firefox, Opera and others. Web control is an extensively tested Java bean, which provides a server-side object model that allows programmatic configuration of the menu. Includes complete help system, object reference and sample pages. Description: Popup menu web control for JSP with support for IE, Firefox, Opera and others. Web control is an extensively tested Java bean, which provides a server-side object model that allows programmatic configuration of the menu. Includes complete help system, object reference and sample pages.